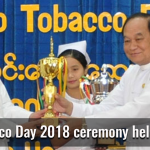 31 May 2018, Nay Pyi Taw: During the World No Tobacco Day celebration in Myanmar, the Ministry of Health and Sports (MOHS) in close collaboration with the People’s Health Foundation (PHF) with support from the South East Asia Tobacco Control Alliance (SEATCA) awarded smoke/tobacco-free universities in Myanmar. 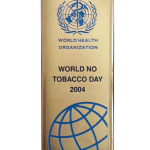 This is the first time that MOHS, PHF and SEATCA gave smoke/tobacco-free awards to universities. Smoke-free Universities was initiated in 2016 by PHF and SEATCA that initially includes medical universities only but it has since expanded to non-medical universities. 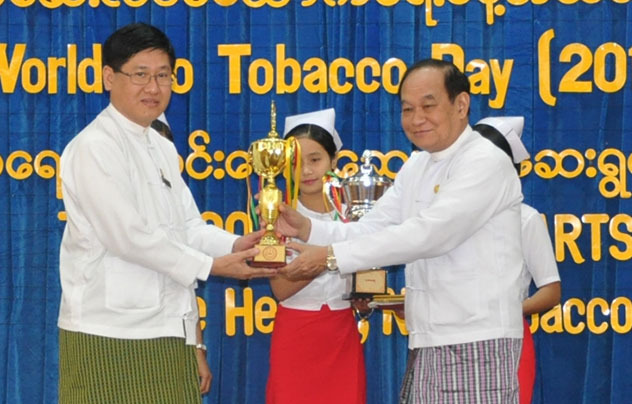 This is PHF and SEATCA’s contribution to Tobacco-free Myanmar.